Even though we thought Hermione Granger couldn’t get any smarter, her real life alter ago, Emma Watson, becomes a bigger champion for women’s rights with each passing day. And it turns out her Harry Potter experience played a huge part in cluing her into society’s gender inequality. Watson has done a ton for the fight for equal rights: In 2014, she founded the organization HeForShe and spoke about gender equality at the U.N. General Assembly. Several months ago, she announced that she would be taking a yearlong hiatus from acting in order to focus on her women’s rights campaigns. Recently, Emma spoke to fellow feminist activist and actress Geena Davis (she founded the Geena Davis Institute on Gender in Media in 2004) for an Interview magazine story, and obviously, the two had a LOT to talk about. Some of the most interesting stuff regards Emma’s first confrontations with gender inequality, scenarios in which she found herself, as a woman, in the minority — including being on set to film the Harry Potter series. 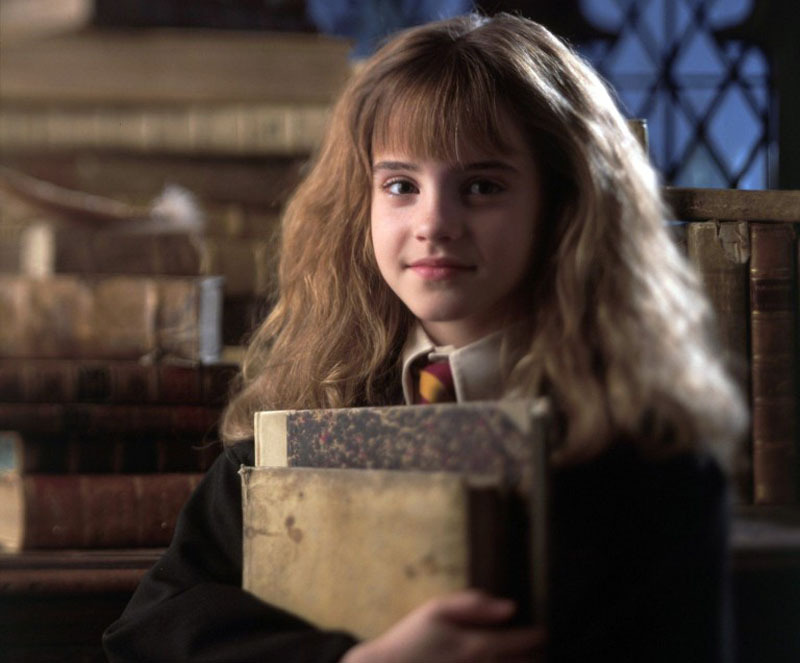 Emma said that, in true Hermione style, it encouraged her to dig up research from Geena’s institute, and found that the film and entertainment industry tended to favor men. And the rest is history. We can’t wait to see what the young feminist icon is going to stir up next!